The Benoit Group’s development of Renaissance at Garden Walk, an affordable senior living community in College Park, Ga., was made possible with HUD 221(d)(4) financing using 4 percent bonds. Walker & Dunlop assisted with financing. Making affordable housing development and preservation financially feasible is difficult and getting more competitive and complex every day. Walker & Dunlop has helped developers use the 221(d)4 HUD program, allowing for higher leverage when using Low-Income Housing Tax Credits. That enables more affordable financing by incorporating green building standards required by HUD. Meeting green criteria lowers the mortgage insurance premium from 65 to 25 basis points. MIP can be lowered by the same 65 to 25 basis points by ensuring 90 percent or more of the units have a Section 8 Housing Assistance Program contract, Lawrence said. In Boston, the Holmes Beverly community, a 67-unit mixed-income development situated at the second busiest commuter rail station on the MBTA parking garage, was one of the first projects completed under Gov. Charlie Baker’s Open for Business initiative. Some developers partner with non-profits that own land or existing properties with tax abatements. “If a property has a tax abatement in place, owners and developers can effectively lower their overall operating expenses and, in turn, this permits them to acquire at a higher price,” Baptiste said. If they’re not able to gain a tax abatement on an existing property, a few owners and developers plan substantial rehabs incorporating energy-efficiency upgrades, he added. Since many older properties saddle owners with high utility payment, energy efficiencies can lower costs and enable higher acquisition prices and loan proceeds. 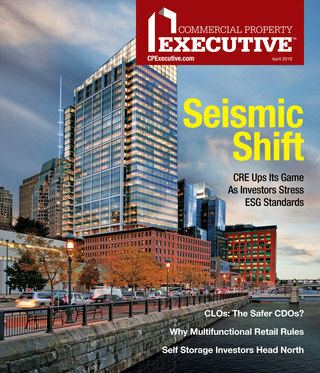 “Developers typically work with third-party vendors specializing in energy efficiency, who determine if they can indeed lower those utility costs,’ Baptiste said. To overcome affordable housing issues, targeted debt solutions tailored to match the innovative affordable properties coming online are needed, said Pat Jackson, CEO & founder of Newport Beach, Calif.-based lender and investor Sabal Capital Partners. Jackson said one such solution is Freddie Mac’s Targeted Affordable Housing Express debt solution for small-balance properties with regulatory agreements in place. “We have big plans for this program,” Jackson said, noting it offers a more streamlined way to land a $10 million loan―and is less complex than a $50 million loan―for the renovation of affordable housing. Barnat Development was able to add to Boston’s affordable housing supply by utilizing a number of state programs and partnerships. Its Holmes Beverly community, a 67-unit mixed-use development situated at the second busiest commuter rail station on the MBTA line, was one of the first projects completed under Gov. Charlie Baker’s Open for Business initiative. Barnat Development was the designated developer through a 99-year ground lease of an MBTA-owned parcel next to a new 600-car MBTA parking garage. Through MassHousing’s Workforce Housing Program, Holmes Beverly increased affordability to 22 percent, with 14 units reserved for households earning up to 80 percent of AMI and two units for those earning up to 110 percent of AMI. The $2.2 million soft debt subsidy closed the financing gap and made the new construction feasible, Barnat explained. Additionally, MassDevelopment provided a loan guaranty permitting Barnat Development to secure advantageous private financing through the Healthy Neighborhoods Equity Fund. Urban Pacific Cos.’ Urban Town House model is moderate-income housing for larger urban families whose incomes fall within a range of 80–120 percent of Area Median Income and is able to deliver naturally occurring middle-income rents. A benefit of Open for Business is letting agencies align resources to support projects offering outsized contributions to the built environment. Along with providing needed workforce and market rentals, Holmes Beverly will provide a new 5,000-square-foot retail dining concept to serve the station’s 25,000 daily commuters. The project also has a long-term lease for 70 tenant parking spaces in the MBTA garage. That helped trim construction costs because a dedicated parking garage did not have to be built. Finding renter-pleasing locations, offering highly-sought amenities and transportation access, is a winning combination, according to Barnat. “Pooling the resources of the state to support special projects allows us to innovate and deliver new housing that is both appealing and sustainable,” she said. Urban Pacific Group of Los Angeles is funding its Urban Town House concept using private equity, opportunity zone capital and standard construction debt, and claims it is generating internal rates of return on equity investments generally at or above 25 percent. Since inception, UTH projects have produced a 29 percent return. The UTH model is moderate-income housing for larger urban families whose incomes fall within a range of 80 to 120 percent of Area Median Income, and is able to deliver naturally occurring middle-income rents. This is an ideal housing type for costly California markets, Urban Pacific’s Choppin said, because the UTH units are built simply and efficiently. “We’re building five-bedroom, four-bath units in a townhome-style housing type,” he said. The Integral Group’s renovation of Centennial Place Apartments in Atlanta, Ga., was financed with the 221(d)4 HUD program. Walker & Dunlop structured the financing. The affordable supply is a major problem in many regions but preserving the existing supply is also a challenge. Inna Khidekel, a partner in Bridge Investment Group, the New York City-based investment manager, estimates 100,000 units of workforce and affordable housing is lost yearly to obsolescence, bad management and value-add makeovers that remove units from affordable ranges. Last year, Bridge Multifamily Fund Manager and Freddie Mac created a first-of-its-kind financing facility dedicated to preservation and rehab of workforce and affordable housing. This social impact financing facility, which uses Freddie’s existing MultiAsset Commitment structure, allows Bridge to aggregate up to $500 million per year of qualifying loans―whereby 51 percent of units rent to those earning below 80 percent of AMI and rents are maintained for the life of the loan―on Freddie’s balance sheet. The loans are to be securitized after a year in a single transaction with Bridge purchasing the subordinate bonds. Wells Fargo will originate $400 million and KeyBank will originate the remaining $100 million. “This financing facility provides a significant competitive advantage, not only in cheaper financing that can be passed to residents in the form of lower rents and to investors in the form of higher returns, but also flexible and preferential terms that help with sourcing and closing attractive deal flow,” Khidekel said. 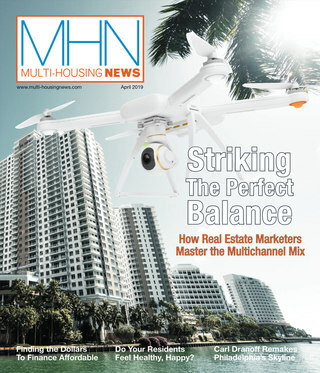 Read the April 2019 issue of MHN.